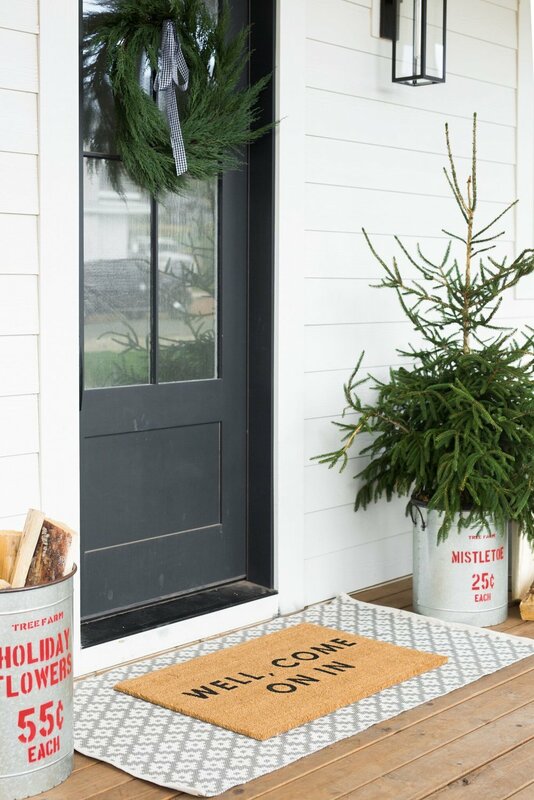 We upped your hosting game by showing you how we style your table runners and now we'll show you how to create a warm, inviting front door that will make guests excited to enter your home all season long. 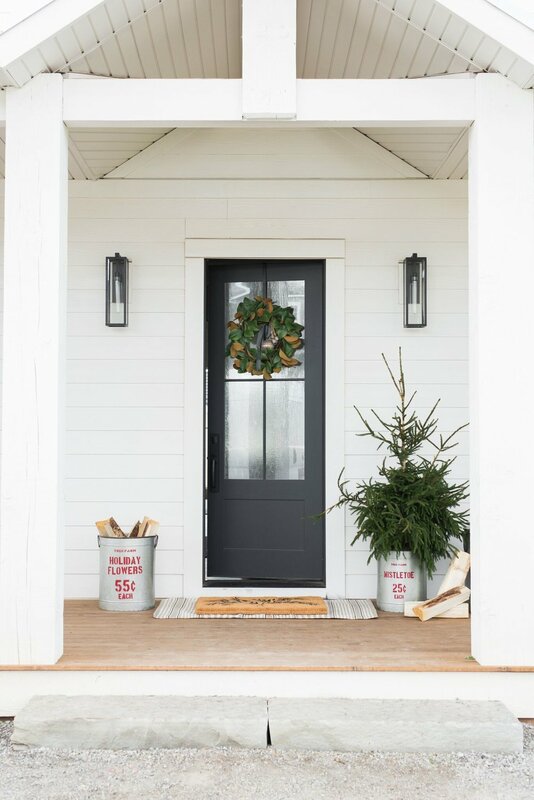 Watch for our tips, tricks, and favorite products for your front door. We also used the Fresno Outdoor Sconce because it's complimentary for a variety of design styles and lights the porch beautifully at night. Not only are they durable, weather resistant, and easy to clean (all you need is to hose them off!) but they come in so many different colors and patterns at an affordable price. Shop indoor/outdoor rugs here. Our doormats are designed in-house so you can only get them at McGee & Co.! Layering one over an indoor/outdoor mat really takes things up a level, and the thickness of the mats and beautiful designs make your porch feel high-end. Shop doormats here. We start with a hanger from a local home improvement store, and then we pick out the wreath that speaks to us. 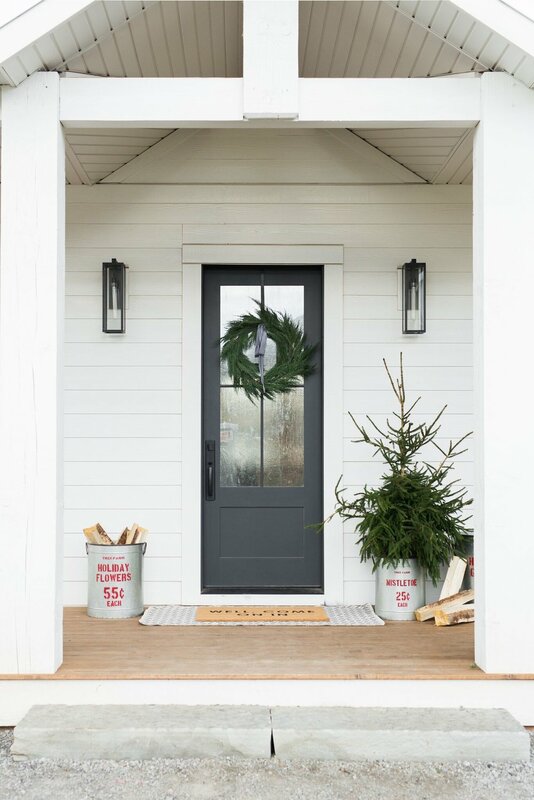 Adding in details like a vintage bell and ribbon gives the wreath a personal touch.